It’s been a while since I’ve shared my daily skin care routine, so I thought I’d give a little update. Considering it’s the depths of winter and lack of sunshine and central heating usually ravages my skin, leaving it dry and grey looking. Surprisingly, this January my skin has been looking fantastic. I am a huge fan of hot cloth cleansing. Just soak a face cloth/flannel in hottish water in the skin whilst I apply a cleansing balm to my face. I currently use Elemis pro collagen cleansing balm. I just massage in a small amount to my face, and then use my Foreo Luna to work it into the skin. This rubbery vibrating tool really livens up my skin by gently exfoliating away dead skin cells, unclogs pores and shifts makeup residue. Just a couple of minutes of the Foreo, then I wipe off the balm with warm face cloth. I’m a big fan of a serum. In fact I feel that if you get your serum right, you can do away with a moisturiser. Currently I am alternating between The Ordinary ‘Buffet‘ and the Avene Hydrance Intense Serum – both make my face feel hydrated. The Buffet is great as it targets signs of ageing and plumps the skin. After the serum, I apply a face oil. Just 4 drops of oil totally hydrates my skin, and leaves it looking glowing and radiant. My currently favourite is by Wild Source Apothecary. Their Miracle Skin Oil is a fusion of organic Thistle, Rosehip and Vitamin E to deeply nourish and replenish skin. Youth preserving and bursting with essential fatty acids. I apply it to my face with my finger tips, massaging it in in a circular motion, leaving it to soak in before I dry and style my hair and put on makeup. Once a week I use The Ordinary Vitamin C 30% suspension. I’m not going to lie, this cream bloody stings, so use it sparingly. Some people can get away with using this daily, but my skin is too sensitive, and reacts after use. So once a week I apply it after cleansing, leave it on for as long as I can stand (usually about a minute!) and then wash it off with the warm face cloth. Once a week I also treat my skin to a face mask. 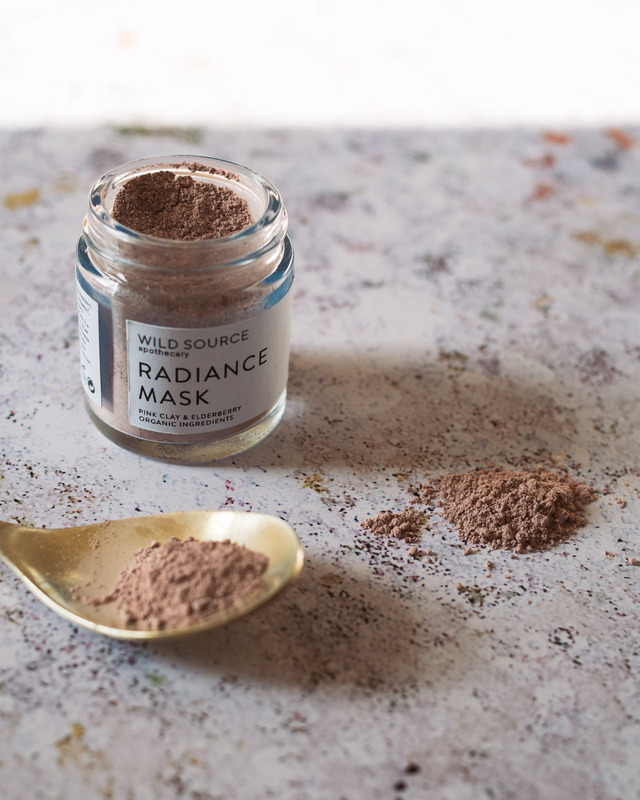 I’m currently loving the Wild Source Apothecary radiance mask. A blend of pink & kaolin clay with organic fruit extracts, perfectly suited to even the most sensitive skin. It’s hydrating properties help to refine delicate lines, moisturise, and improve the overall texture of the skin. As you may have read on here, my goal for 2018 was to stop biting my nails. I’ve been treating my new nails to a manicure once a month, so to keep my hands looking good I’ve started applying hand cream daily. I love the Aesop resurrection hand balm… I could douse my body in this gorgeous scent. After my shower I moisturise my skin with Magic Organic Hello Sunshine body oil. A blend of essential minerals, antioxidants and vitamins to protect and tone. Lemongrass and marjoram essential oils awaken the senses, kick-starting circulation and purifying the skin and refreshing eucalyptus blends with woody notes of pine and yarrow to soothe aching muscles. Sunshine in a bottle! It smells amazing. But I must remember to dry my hair clothed, otherwise I get oily ends. So that’s my current skin care routine… day time anyway. At night I use a richer oil and serum, and also an eye cream. I’ll share those on another post. Collaboration Note: I was sent the Elemis and Wild Source Apothecary products to try. And I am genuinely impressed in how they have made my skin feel. All words, thoughts and images are my own. Thank you for supporting the posts that make this blog possible. It must be the time of year when we think about our skin. I too have had a revamp of my routine. I just love the sound of your products, especially those with essential oils. Wonderful post. I’d never heard of Wild Source Apothecary before but I’ve now bookmarked their website for future reference, so thanks! Also I’ve been umming and ahhing about buying The Ordinary’s “Buffet” for ages; it has a lot of good reviews so I’ve popped it on my wish list. I would so recommend buying it. The texture of my skin has changed. Much more springy. 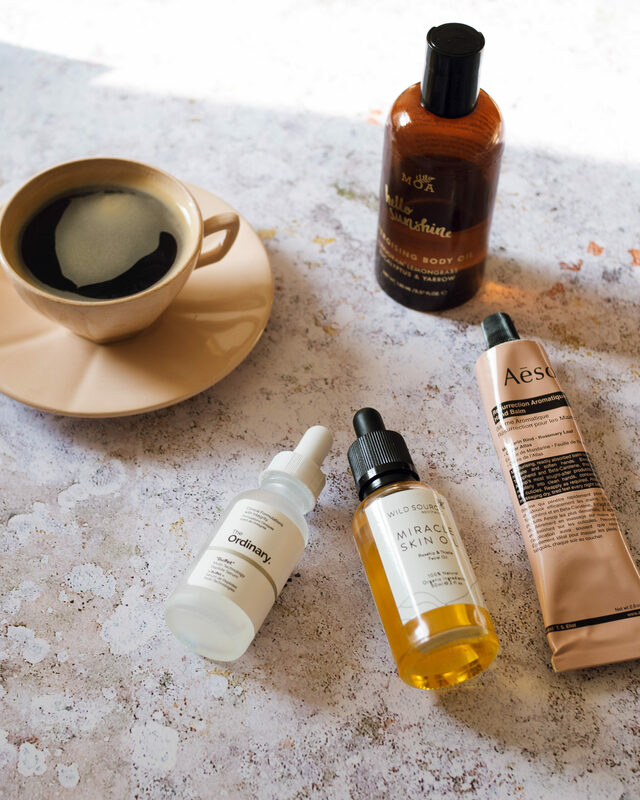 I love all of the Ordinary range – but I am on the look out for a vitamin c cleanser which I can use daily, as the 30% one is too strong for me.